Last week, we were on vacation. To be more accurate, our son and i were on vacation. My wife had some business to do in Vienna, Austria. We chose to take this opportunity to transform the trip into our summer vacation- as we’re going to move in the end of june/early july, this was the best opportunity to do so. So we appended a couple of days before and after the business stuff to spend some quality time in Vienna. 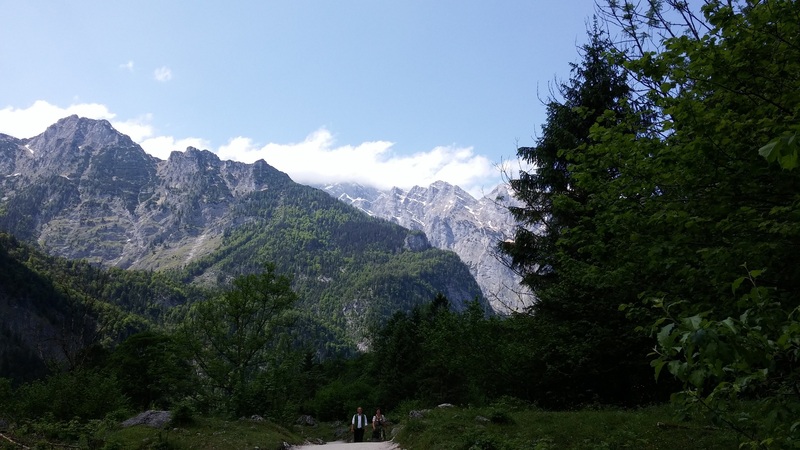 When the long weekend began on thursday, may, 28th, we decided to add another two days before the stay in Vienna to take a bit of a detour and see the mountains/german alps in the south of germany. It also had the advantage of giving us extra time for the 800 km/500 miles long road trip by splitting it in two drives with one being around 600 km / 370 miles and the second one coming in at 320 km / 200 miles. As we would see on our way back, this was a very good idea indeed, as making an 8 hour drive with a three-year-old is kind of stressful for the child. After looking for hotels, we found something in Bad Reichenhall, in the district of “Berchtesgadener Land“. Somehow, just like the names of the surrounding towns (Berchtesgaden, Bischofswiesen), i knew the name but couldn’t put my finger on why that was. When we arrived in town and saw the sculpture of a big salt shaker, it dawned on me- we always buy table salt from that town. 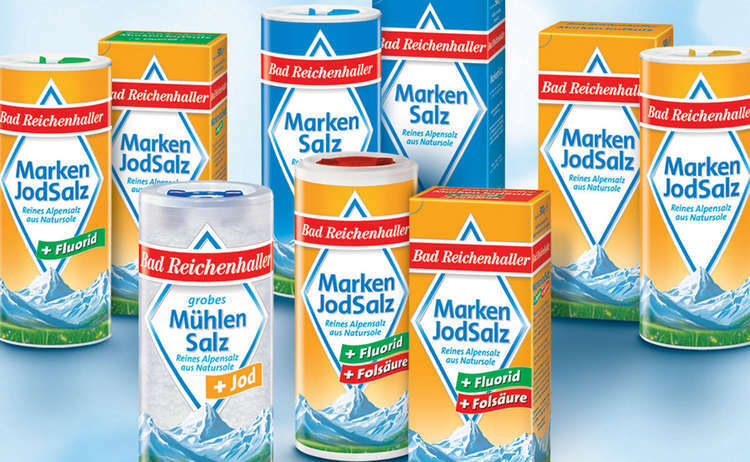 But we weren’t there for salt- we were there for great views, clean air, a bit of calm and the Königssee. It turned out that we chose just the right place for that- and not simply because of the area, but also because of the bed&breakfast we stayed in. I found it to be so enjoyable that i’m going to drop a name- we stayed at the Leitnerhof in Bad Reichenhall. Not only is it quite affordable for this area, coming in at about 35€ per person and night, but it’s also a family business, and it shows. Frau Leitner, who’s running the show there, is a very kind person, always friendly and she prepares a breakfast that is quite something. Nowadays, if you take breakfast, you’ll usually be treated to a buffet- not so here. The host prepares everything- when you enter the room, you’ll have a table set for you, with a few buns, bread and stuff to put on it. When she knows what you drink, there’ll also be coffee/tea and possibly boiled eggs. When i saw the table, my first thought was if it was possible to ask for more bread (there were two buns and a slice of bread for each person, but i can be quite hungry in the morning if the breakfast is good), but little did i know. With our coffee, there came the fruit salad and the boiled eggs. After a while, there came cake. In the end, i asked the host if it was possible to take the rest with us for the day (after all, she would have had to throw it away, which is a waste). The other guests were mainly regulars. They knew the host and were conversing with her in a very personal manner. Atmosphere-wise, going into the breakfast room was actually like coming down into the family kitchen- everybody was friendly, talking to our son, sometimes keeping him busy when we still weren’t finished with our breakfast while he was already running around. The atmosphere became even more familiar when i saw that the host’s family was indeed breaking their fast in the kitchen next to the guest’s room. You could simply go in, wish a good morning and talk a bit. All this is so, so very rare in these day and age where everyone is out to maximize his or her own gain that just thinking about it now is just…heartwarming. So, i can recommend the Leitnerhof in Bad Reichenhall. One thing that’s really nice when visiting the country-side is that you don’t have to pay as much attention for your toddler- cars are there, of course, but they aren’t frequent. And at our B&B, everybody was driving very carefully, so we didn’t have to follow our son in 3-5m distance all the time, which is very relaxing. If it was for me, i would have simply stayed there for the two days, taking a walk here and there and enjoying the view from our balcony or the garden below. But it isn’t, and my wife sure loves her schedule. Since we only had one complete day, we chose to go and see the Königssee, judging by photos a very beautiful lake in the area. Also, it is quite famous, especially with the chinese/asian tourists. I can tell you the last time i heard people speaking so much chinese was in China. The Königssee was beautiful, but crowded. 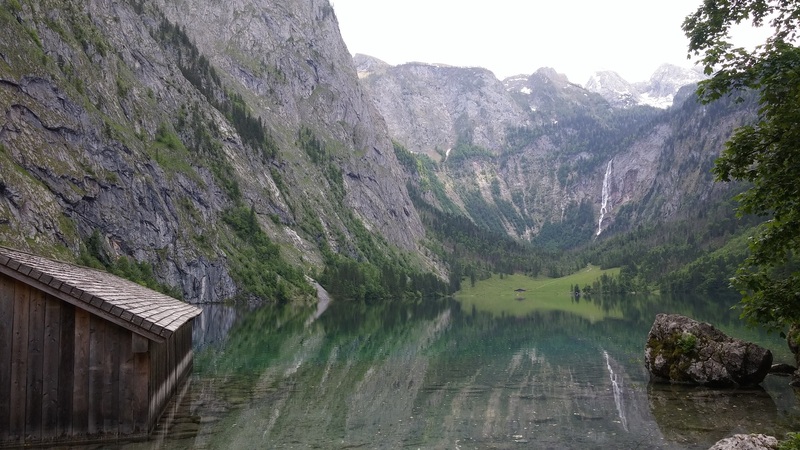 This is actually the Obersee. Also, no-one shows the crowds on photos. 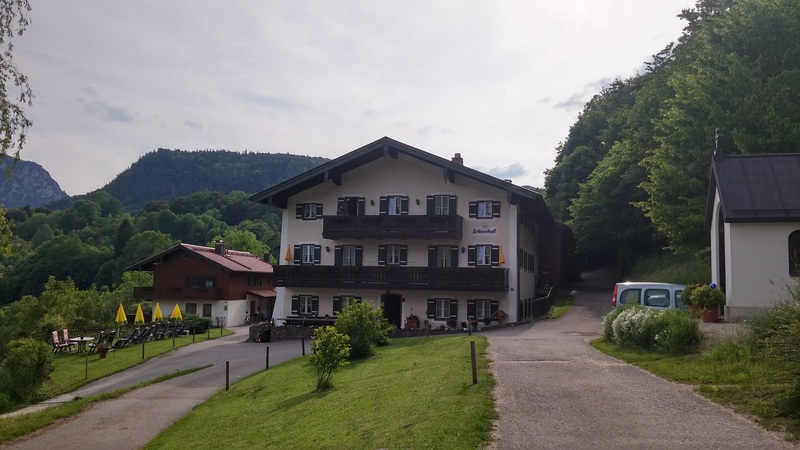 In the end, we spent about one-and-a-half days in the area and while it was full of tourists, the area around our B&B was very calm- it was only when we went to see the Königssee, driving through the more famous towns that we saw some crowds. As for the landscape- i’d call it breathtaking- by the way, none of the photos are edited in any way. I always loved the mountains…at least looking at them and i do love the food and beer of southern germany as well as the people there. So these two days were very nice indeed. I didn’t want to leave, but we had to go to Vienna, after all. Wow! Those landscape photos are incredible and serene. I’d love to visit a place like that one day as I also love the mountains. Sounds like you had a great trip! For being “shot from the hip” these photos came out great! I could see them in a calendar or such. There’s something very personal about them that really captures the majesty of the place. Oh i didn’t know that! While i was there i was actually thinking about whether someone i know online might live there. Yes, i’ve planned to write about Vienna, too. Should be coming up this week. I liked it very much, we were staying close to the Stadtgarten (Parkhotel Schick), which was a very good location for staying there with a kid- great playgrounds close by, many good restaurants, not too far from the Naschmarkt.